The Lazy Vegan: Veggie Burgers! A couple months ago, I had an awesome veggie burger at a Josh’s, a fast food restaurant near where I work. It tasted great and fresh, but what I loved most about it was that it was, well… different. It wasn’t a completely bean- or soy-based veggie patty. Furthermore, I was able to identify chunks of actual vegetables in it. 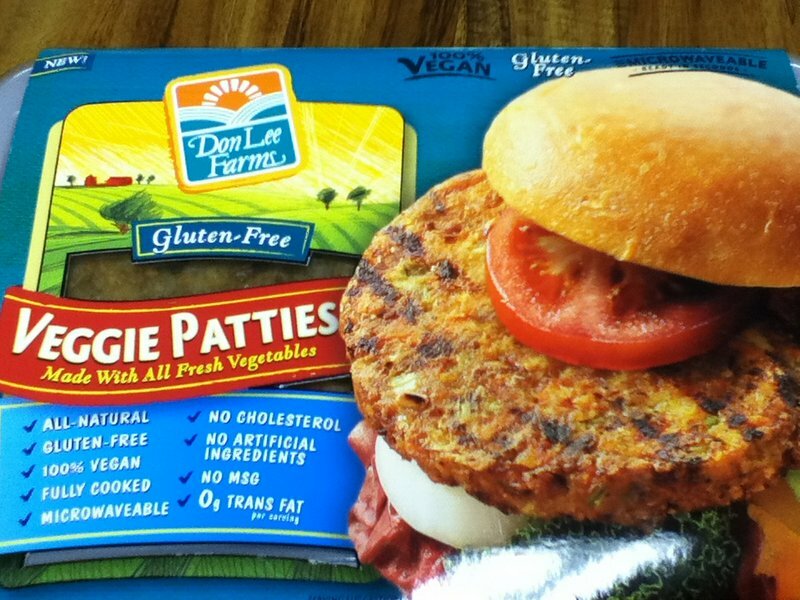 So I was pretty excited when I saw Don Lee Farms Veggie Patties at good old Costco. 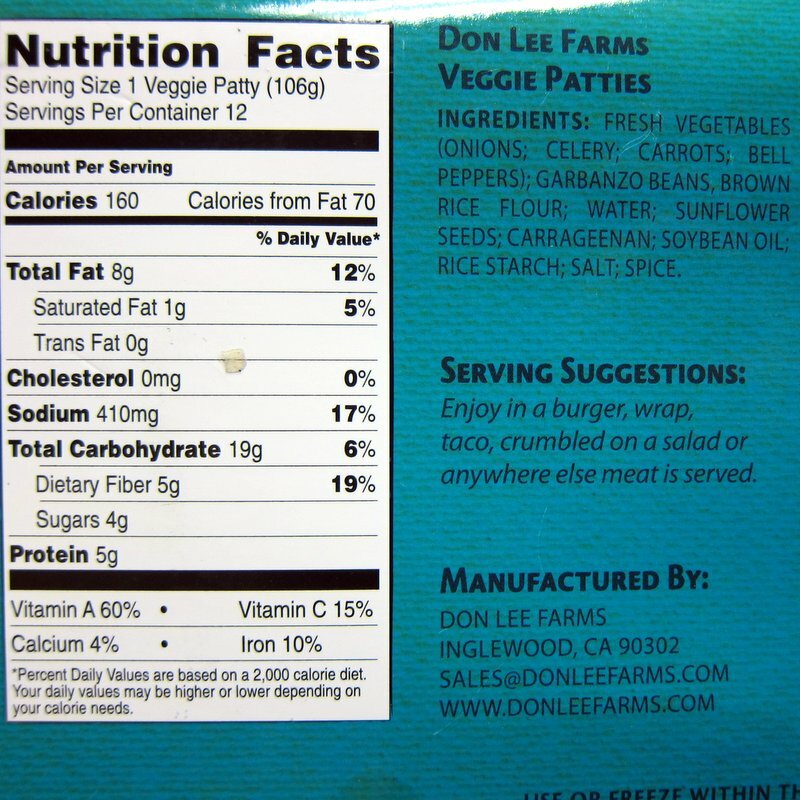 Unfortunately, Don Lee Farms is a wholesale seller, so these patties aren’t available in your neighborhood grocery store. Even more unfortunate is that the company isn’t vegetarian and sells meat products as well. 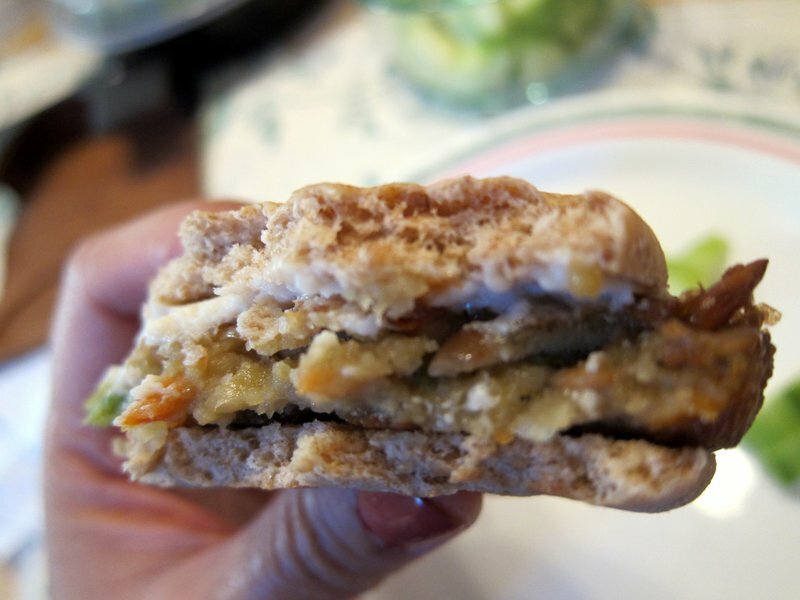 All that aside, this is one tasty veggie patty. It has a nice texture and the vegetables in the burger can easily be identified and tasted. It was seasoned nicely with a perfect little kick to it. It’s mostly a softer texture, but it contains whole sunflower seeds that are both tasty and give it a nice crunch. It’s also pretty filling. One patty is surprisingly only 160 calories. I wish it had more protein. The sodium content is fine; it helps that it’s tasty enough that no other spice is really needed. Zero cholesterol! Click the photo for a closer look at the nutrition facts and ingredients. I’m a sucker for a good vegan convenience food!